This post was contributed by Yariv Dror who is the Co-Founder & CEO of StoreYa.com. 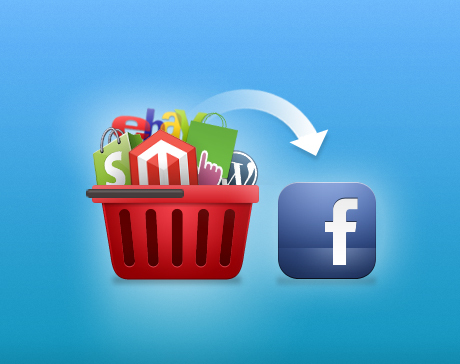 Any Magento or PrestaShop merchant – big or small – can sell on Facebook, significantly boosting his/her sales. The jewelry designer Nava Zahavi who started with only 100 fans on Facebook. Running a small budget Facebook ads campaign driving traffic to her Facebook store, she made 400% Return on Investment (ROI) selling on Facebook. The Scandinavian fashion brand OnePiece, sold over 1,000 items in 24 hours offering a group deal inside their Facebook store. In addition, this brand has increased its Facebook community by 4,000 fans in those 24 hours. The New York Times has recently covered that The Polkadot Alley company switch from e-Commerce to f-Commerce (Facebook-Commerce) increased the company’s sales from $400K to $1.5M over the period of one year. The average conversion rate of Facebook stores that we see is 20%! As an online merchant, you can appreciate this very high number. Import your store to Facebook in a way that takes advantage on Facebook’s social elements – “like”, “share”, “comment”, and preferably uses Facebook actions like “Want in” and “Own it” which create viral wish lists and viral recommendation shared between the users and their friends. Importing your web store to Facebook can and should be a 2 minutes process regardless of the eCommerce platform your web store is built upon. You should also use a service that would keep your Facebook store synced with your web store, so that your Facebook store is always up to date without you having to manage 2 stores. Your Magento/PrestaShop store has its own unique look & feel. Obviously it has a default language and currency. All of those should reflect on your Facebook store as well. Again, not as a clone, but as a store that fits the needs you bring a long with you and the advantages that can be used when having a store inside the largest social network on the planet. The importance here is to remember that Facebook’s users are not bots and they didn’t come to be solicited, so don’t make them hide or unlike you. You should of course promote your products, but limit that to 1-2 times a week; the rest of the week should be dedicated to engaging with your fans as you do with your friends by sharing stuff YOU find interesting. So, what should you post? Whatever is happening with the business, preferably with an image in order to increase the number of fans reading and engaging with your status. We are working on items for ___ (our next collection/ our next convention …). Inspired by ___ I am working on ____; will be sharing the image next week once this amazing piece is ready. We are working on our new partnership/ collaboration with _____. Be original is the best, but if are looking for fresh and viral content to help you post interesting stuff on a daily basis. Posting early in the morning or late at night yields 20% more engagements as most posts are published during working hours and your posts will get to be on top of them. Fake likes can really make your page damaged. Why? Because fake likes will not engage with your future shares and Facebook’s algorithm will display your statuses less and less over time as they would be considered less engaging and therefore less relevant. If you only have a small Facebook community (or not even that), start with your friends and family – introduce them to your new fan page and ask them to like it. If you have a small to medium Facebook community (500-2,000 fans) – you can engage with other fan pages using your own fan page. Like them, comment on them and start interacting with them. You can also use services like LikesBoard.com which help you find other interested merchants that keep interacting with your page after liking it. If you have a big community already – use existing marketing tools in order to launch promotional campaigns – those will not only boost your sales, but also help your increase your Facebook community. As you can recall, the OnePiece example we started with, didn’t just make 1,000 sales in 24 hours, it also made 4K new fans in those 24 hours. Are you twitting 24/7? Do you have awesome videos on your YouTube channel? Amazing images on Instagram and Pinterest? Well, import all of those to Facebook and have them displayed on your Facebook fan page, right next to your Facebook store. This can be done in a matter of minutes! Why? So you can keep communicating with them, and maybe even sell them your items more than once..
How? Install a Facebook Likes-Box plugin on your web store. It is a no-brainer and its effect is amazing. StoreYa’s scratch & win a coupon game enables you to share with your fans a game of scratch cars straight to their news-feed where they ‘hang out’. Winners get coupons that you have predefined, and you get them marching from their new-feed to your Facebook store. Group deals – as you have seen in the OnePiece example above this is an amazing marketing tool. It displays on your Facebook store a Groupon-alike feature incentivizing your fans to be your ambassadors and convince their friends to join the deal you are offering. Doing it right would really be worthwhile for you! This article shed some light and numbers on Facebook-commerce. If you want to dig dipper we have many more tips and recommendations on this topic all grouped together on our recently launched eBook – “The Complete Guide on how to Sell on Facebook”. This is a Free eBook wrapping up the collective social commerce experience of our merchants in the last 2 years.